Our easy mop, outside made of ABS and inner PP. Printing logo on the surface with water transfer printing, can't scrape. 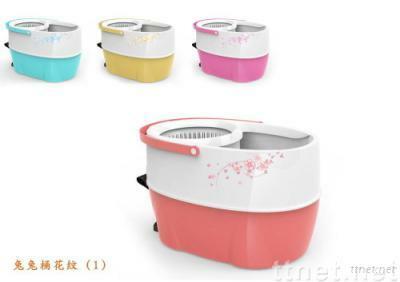 Mop head 360 rotated,3 function in 1( wash by pedal, dry by pedal also can by handle). We have the patent and CE certification for them.